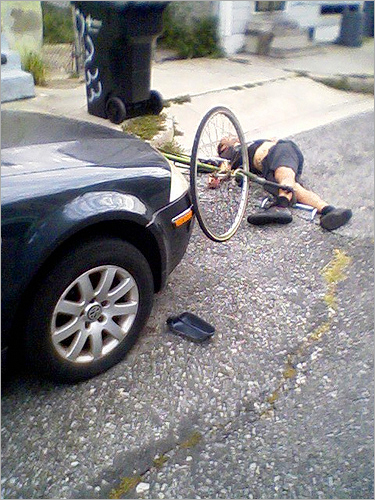 "biking to work, i happened upon this bike punk, passed out on road. i think he knocked side mirror off car. he was breathing so i let him be." wait. doesn't that mean crossroads saves money when you bring bags from home?